Hello, scrappy chums! Are you soaked to the skin by our autumnal rain? Then you will be in need of crafty projects to keep you amused indoors until the cold weather begins. Lots to look forward to. Or, as the old saying goes, the grass is always greener on the other side. Well, this grass is certainly greener. 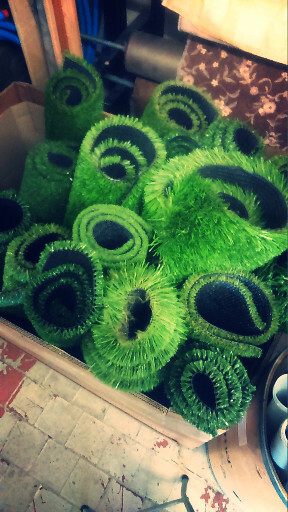 This gorgeous artificial grass comes in two varieties – one with a backing which makes it suitable for outdoor use, and one without a backing which is suitable only for artistic use. So if you have a shop window, or a school play, or even a Christmas tree that needs a bit of greenery, grab a length or two. Is it too early to mention Christmas? 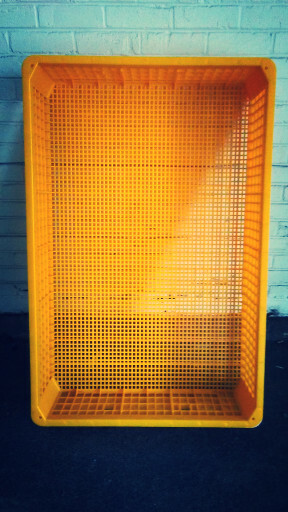 We have some lovely big yellow plastic baskets, suitable for all sorts of storage. They are quite large, 30 inches by 46 inches, and nine inches deep, so if your dog needs a new bed, or if you need somewhere to sow your seeds for your next greenhouse crop, look no further. If you are still in the throes of Halloween preparations, don’t forget that we have all the stuff you will ever need, from pumpkin cut-outs to tools for cutting out pumpkins, candles, cardboard and various fabrics, as well as different sorts of props such as fake scars. 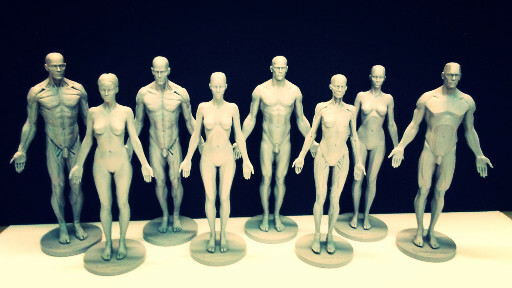 And we still have some anatomical figures left over from last week, for you to practise on. If you need some ideas check out our Pinterest page at https://www.pinterest.co.uk/wreuk/halloween/. 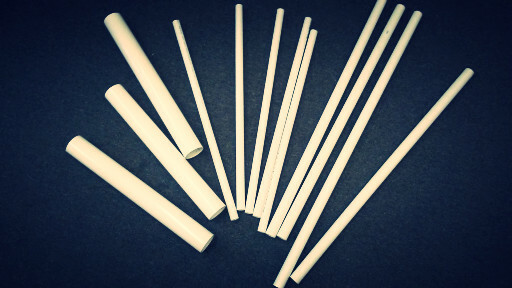 The ever-popular white plastic tubes are back. Different lengths, different diameters – some even suitable for a ferret run! Very slim ferrets only. Next, we have these very nice siphon pumps. 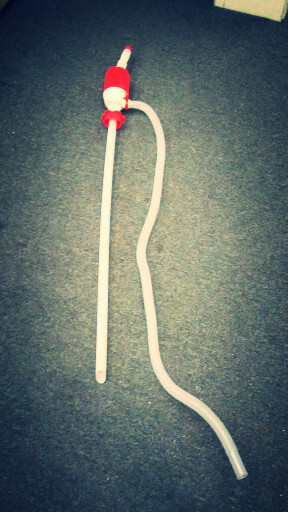 They are actually meant for siphoning liquid out of barrels, but if you remove the tube, what you have left would make a dandy sword or light sabre. Just a suggestion. We also have lots of paint this week. Some full tins, some not so full. Different quantities, different types of paint, different manufacturers, so they are all individually priced. And remember that you don’t have to be a member to buy paint, so if you have friends who are not members who need paint, tell them about us. That should keep you occupied until next week, when we will have some more fabulous recycled materials for all your crafty ideas. See you all then.